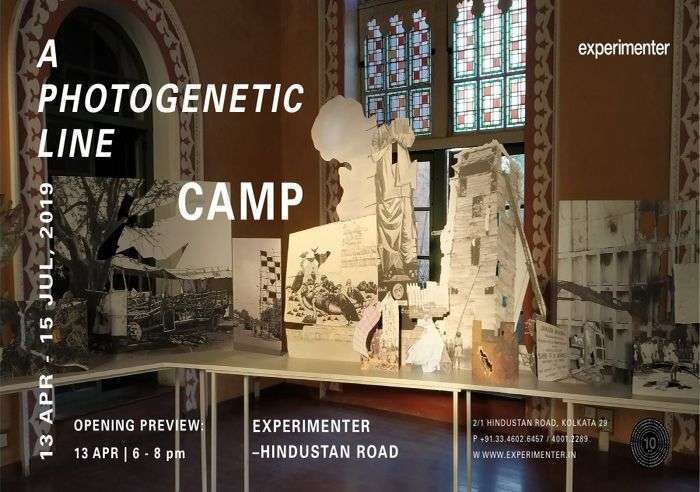 Experimenter gallery presents CAMP: A Photogenetic Line. Drawing from the photo archives of The Hindu, a 140-year old newspaper based in Chennai, a 100-foot long branching sequence of cutouts is presented. Cutouts are here a way of re-framing and reincarnating existing photographs as new organisms. Not to remove their background environments, nor to frame heroic figures, but to create a new boundary or border for the image. The exhibition traverses a series of perceptual (shape), historical (time) and geographic (political) boundaries.